Once the home of Ray Charles and Jimi Hendrix, there is no denying that Seattle is at the forefront of America’s thriving music industry. And with a variety of galleries and art spaces, the city’s creative scene doesn’t just end there. But Seattle certainly isn’t the only cultural gem in Washington State. Rich in a Native American history, the outskirts of the Washington countryside is steeped in tradition, with villages and towns regularly hosting unique celebrations. Here’s how best to uncover the state’s most creative allures. One of Washington State’s most revered artistic exports is Dale Chihuly, whose glass sculptures can now be found adding vibrancy to a number of places around the world. To celebrate his international success and incredible talent, Chihuly Garden and Glass was opened at the heart of Seattle. It’s here that you can come face to face with some of Chihuly’s most mesmerising and intricate works as well as find out more about what inspires his creative genius. Washington State is a destination that’s immensely proud of its heritage, and thus no trip here would be complete without a little delve into local history. One of the best places to see this heritage brought to life is at Jamestown’s S’Klallam Tribal Centre on the Olympic Peninsula, where you’ll come across a working carving shed. 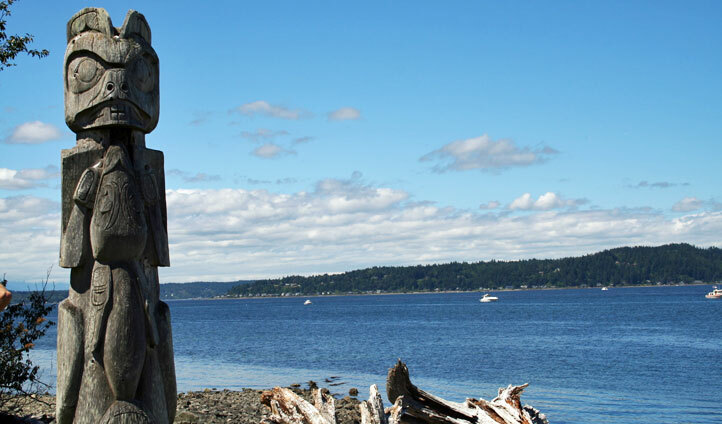 Within its walls, totem poles are carefully carved in respect of the local S’Klallam tribe whose community continues to thrive to this day. Seattle’s EMP museum should sit near the top of any list of things to do in the city. A museum dedicated to music and popular culture; wander the exhibits here and you’ll spot anything from the hand-written lyrics and personal instruments of Jimi Hendrix and Nirvana to interactive booths allowing guests to perform music to a virtual audience. You’ll feel like a rock-star in no time. There are so many iconic spots within the city of Seattle, and most of them are simply unmissable. From the Jimi Hendrix statue to the first venues that Nirvana and Pearl Jam played to tiny audiences, you’ll be left fascinated by the wealth of local music history to be discovered here. Worried about time? Never fear – we’ll have you booked on to a private tour so you can tick the best off of your list in just a few hours.